Greetings from Guatemala….wish you were here! 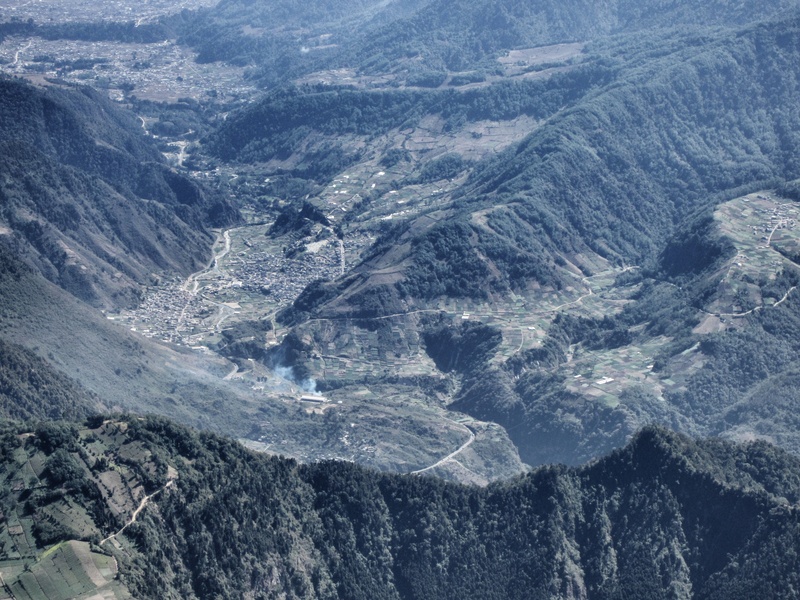 Photo taken looking down at Xela located in the highlands of Guatemala and surrounded by lush, volcanic valleys. I took this photo of Xela after climbing the nearby Santa Maria Volcano. I love this view of the city. After spending a week there and being surrounded by these lush, green hills and mountains it was a real treat to see the view from above. I had always been looking up and now I had the reward of looking down.